No matter how big or how small your business is, branding matters. Without one, your business lacks an identity and a purpose. It allows you to decide how you’d like the people of your world to feel about you and your business. If a customer doesn’t buy into it, they’re not going to buy. Period. When you think of branding yourself, you immediately think logos. And when you think of logos, you get images in your head of some famous logos you can identify with a popular company. It’s what we as consumers look for first. A professional and reflective logo is enough to make or break your company. A strong brand can almost always ensure future business. The greater your devotion is towards building brand value, the greater your financial return will be from those efforts. If your brand shows quality, then its seen as more valuable, which is favorable to your business down the road. If a customer gets your brand, they’ll buy from you and recommend your business to others. Think of the last time you referred a business to a friend. A large part of that reference is because of your understanding of that business’ brand! Given that your brand reflects your business, it will bring in new customers. 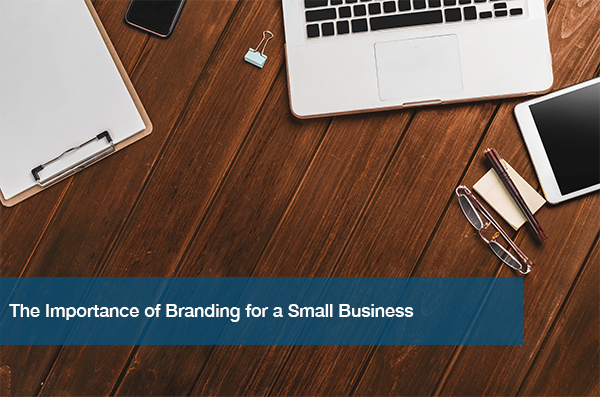 If you’re still struggling to decide how to build your small business brand, no worries. As a small business owner, this shouldn’t be hard. We don’t get into our fields because we have to, it’s all because we want to! This passion for your business will show, and will only bring a greater following. Make sure this is the first thing you check while in the building process. If you can’t understand what you’re going for, then the general public definitely won’t either. Make sure your brand is clear and easy for others to understand, so that they can buy into your business. Who are you targeting? Do people even care about what you’re selling? Is it something they need? These are questions you have to ask yourself. It’s awesome if you feel your product or service is incredible, but the point is for others to believe it too. You have to make sure there’s a need for what you’re selling so you can build a brand without wasting your time. As long as it’s authentic, truthful, and lively, your small business is sure to benefit. We are proud to debut the new ITC company logo to the public. We believe this was an important step as a part of the ongoing evolution of our brand. Even though we’ve only been around a few years, we believe that the heights we’ve reached thus far are undeniable. However, we are always looking ahead and planning to grow even more. This was why we decided to evaluate our logo and ensure that it was in sync with not only who we are, but with where we are going. It was important for us to show the world that we know no bounds. We provide the businesses we work with endless opportunities by giving them IT solutions that make sense. This is why we wanted to highlight the Infinity in ITC. But a different logo doesn’t mean a different ITC. Even though the logo has changed, it doesn’t mean we have. ITC remains dedicated to providing you with high quality IT solutions to maintain efficiency in the workplace. Click here for a free IT assessment, and understand why our customers believe we do justice to our name.